Amante at Verde Sante Fe, Verde Santa Fe - This delightful home in the Executives section of gated Amante at the Verde Santa Fe Golf Course is better than new - it's been lavished with all of the touches that turn a house into a home. 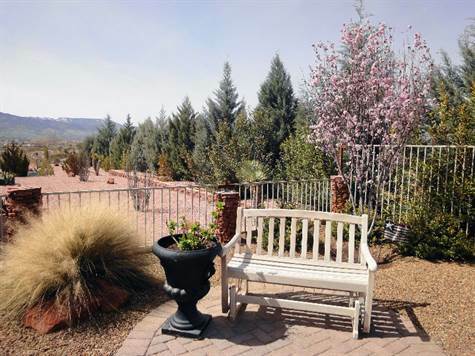 It is located on a quiet cul-de-sac with mountain views, and a wonderful fenced back yard that feels like a private oasis. Just moments from the Amante Clubhouse. Play the 18-hole Championship golf course. Just about a 5 minute drive to Cottonwood and 15 minutes to Sedona. Easy access to I-17 takes you to Flagstaff or Prescott in about an hour and Phoenix in 1 1/2 hours. Pre-foreclosure forces quick sale - lender approval required.